If it wasn’t spoiled for me, I had intended to give my readers a light reportage about my trip to Djibouti (April 3 to 10) and Ethiopia (April 10 to 27). I will do that soon after I take care of a small glitch and do some cleaning up. I have tried hard to avoid the possibility that it might border on the ugly; but I trust my readers and their judgment. 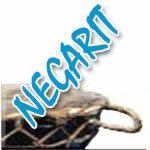 Apologies for this unintended edition of Negarit. If you go through as much abuse and attack as I do, you will agree that I am very patient; and I have stated several times that I have developed a skin of an alligator. But here is what the members of the Gossip League say to each other: zeymllselu da’a! In their small minds, not responding to every halewlew is considered an admission of guilt. Never mind they do not offer that opportunity of responding to accusations to those languishing in PFDJ’s prisons—they are inconsistent and lack integrity. But melsi is not in short supply in this quarter; you can get a cannon ball for your cheap darts! So that you do not get lost, I am responding to my friends including Amare Gebre, hereafter known as Mr. Magoo—what bad luck, you are done with Tom and Jerry and here comes Mr. Magoo. At first glance, I marveled at how Magoo could comment on an interview that was not even published. Then I laughed at his recycled Saleh Johar is Ali Salim statement. 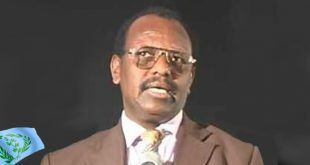 Then I laughed more at his allegation of my paid trip to Djibouti, Ethiopia and a writers’ conference in Addis Ababa. Then I was disgusted at how the gossip league gets all worked up and angry when they mention my book! Hey, what is your problem there? Write one yourself instead of attacking my book, which is written to be distributed and, eat your heart out now: follow this link if you want to buy ‘Of Kings And Bandits’. See, do something like that and show us you can do it; otherwise, hold your peace…or better, keep on writing mediocre stuff or plagiarize better ones. A few months ago …I change my mind, first let me tell you a story I read back in the Dahai days. A policeman, police Abay, was guarding city streets when he came upon an adult peeing in the street. He arrested him and asked him what he did for a living. “Teacher,” the man said. The policeman asked him in which school he taught and he got an answer. But immediately, the policeman went into a crying frenzy: wey ane wedey, wey ane wedey….. The peeing man was his son’s teacher. Selam Amare, The article that you send today carries a clear violation: plagiarism. We didn’t have to go beyond the first paragraph. As you know, that part is clearly plagiarized from “Two Misconceptions Concerning Egyptians,” an article that is found on: http://www.arabworldbooks.com/Articles/heggy/misconceptions.htm The actual writer is Tarek Heggy and it seems you just copied and pasted it on your article. The Awate Team, I know that I send you my articles knowing that you will not post it, but also knowing that you will read it and learn from it. As educator I have the luxury to use other peoples ideas to teach inform and enlighten people. I am not writing this articles for monetary reasons or to attack or contest with other people. It is not because you don,t want to embarrass me , but you know that if you do that you would expose your ignorance on how educators teach and use teaching materials. I stated on that article my intention is to teach and inform. I don’t hide behind pen names like you to teach my people. Bring it on and people will see who is to be embarrassed. Don’t forget that you have to be accountable too. Don’t lie you have been rejecting my articles because you don.t accept criticism. When I commented on what you wrote you rejected my articles and it is because you are not fair, thin skin and you don.t understand freedom of expression.I have also your e-mails on why you don.t allow to post my articles.Sometimes. a man of all trades and master of none can not embarrass me. So educators are allowed to plagiarize? That is a new lesson we just learned. Thank you. We do not need to carry this beyond this message. Good bye. That made Magoo so mad that he attempted a low blow on me. But I am not angry at him; he is a compulsive plagiarizer and there is a chance that what he wrote was dictated to him by the Bishops and cheerleaders of the Gossip League. Who knows! At any rate, here is a challenge: Mr Magoo claims he represents a political organization. I challenge him to present three including himself at any restaurant in Oakland, I will pay the bill. But dear Magoo, please try to take life lightly; you never smiled since you were a baby. You are so tense I am afraid your face will crack. Loosen up and enjoy life with all its difficulties, anger doesn’t help you. See how vindictive the members of the Gossip League are! I wouldn’t mind if they had anything to contribute to the struggle, but they are just spoilers, Zeragito. Nothing good comes out of such weaklings. And it is our fate that when Eritreans are on the verge of defeating the PFDJ, there comes a bunch of good-for-nothing gossipers to take the PFDJ’s role in attacking activists. 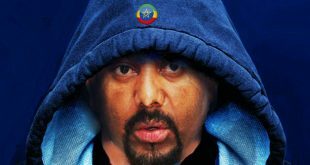 Now that you heard all the lies about the paid trip to Ethiopia, to Djibouti, and a paid attendance of a writers meeting that Meles Zenawi paid for me, even when I had no idea that such a meeting was being held, you understand all the mini-campaign by the suspect quarters. Another one: I have a moqshish challenge for little Mr. Magoo. 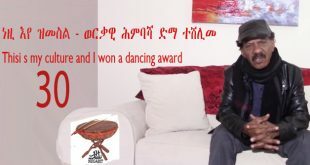 I can prove that the Ethiopian government spent on him at least US$3000. But I will hang myself in public if he can prove a single cent it spent on me. Such people need to go to the nearest college and enroll on an ethics class; but you cannot learn decency anywhere; that comes from one’s upbringing. The above applies to little Magoo and all the other Majrat Mechi, the honorary members of the Gossip League. And this was done only to satisfy those who would exclaim, zeymllselu da’a! I ask one thing from my readers: since I get so much abusive messages, and attacks, allow me for one reply every six-months. You agreed! Thank you. Someone who used to teach kids, some forty years ago, might think he is the most educated person alive; but his students of yesteryear could have excelled his modest educational attainment long time ago and surpassed it. They might even think of him as illiterate. Yet, that teacher thinks he can teach the world by staying on a teaching mood—thinking that everybody is waiting to learn from his wisdom. And he proudly states that he is a teacher therefore he can plagiarize until kingdom come. It says a lot about his ethics, and he might rumble some more at the suspect websites, but I am done, though I expect some rusty darts from the Gossip League. Apologies again. I hope my Djiboutian and Ethiopian readers will be prepared for some friendly jabs—especially Ethiopians, and particularly the lost Seleda.com tribe, who I think can contribute to the social transformation of their country through seleda.com. But since they are nowhere to be seen, I will give them a hand by critiquing their country for them. 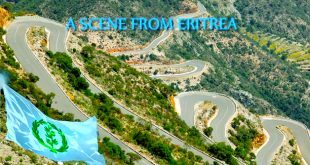 Eritrea? I will do it the minute I get a chance to visit there—once the Isaias-and-friends nightmare is over.